It Fall time and November is a time for family and friends to gather for a Thanksgiving feast (yum!). 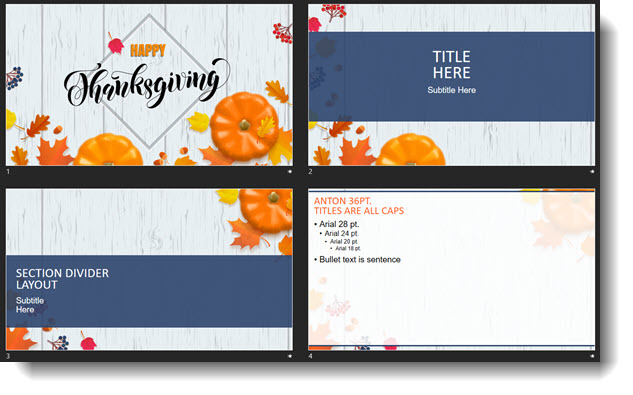 Enjoy a FREE PowerPoint template from our team that is Fall and Thanksgiving themed (thanks for the design Christie). Download here.